Updated in Nov., 2011: Please see this link for the tidied-up version of this post. This is the complete "No Panic" series for Advent, first run in 2008. This is a monstrously long post. I've gathered all of last year's posts together (in the proper order) to sidestep the problem of having to scroll backwards from the bottom of the archive/label page, which I know is really annoying. I haven't changed every '08-specific reference yet and haven't double-checked all the links, but I'll keep working to get those cleaned up. In the meantime, I know my shockingly clever readers can figure it all out. 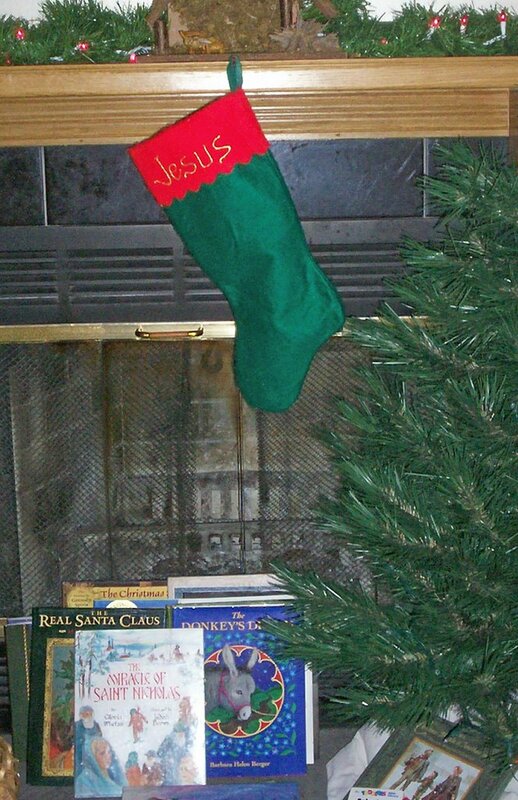 The Jesus stocking is something I started when Anne-with-an-e was very young, and I was looking for ways to keep our Christmas focused on Jesus rather than all the (delightful and fun though they are) other trappings of the holiday. 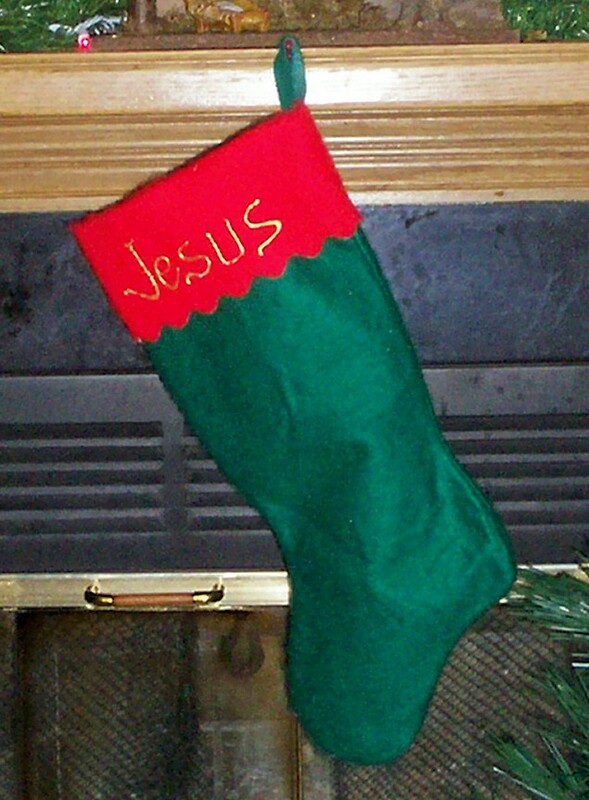 It's a simple stocking (I keep thinking I should upgrade it to something worthy of our King, but on the other hand, I think perhaps He's pleased with the simplicity) and I used fabric paint to add His name. What goes in the Jesus stocking? It can be whatever you like, but we've done it a couple of different ways. Another idea for the Jesus stocking is to use it for corporal and spiritual works of mercy. Many of us are familiar with the idea of setting up a manger for baby Jesus and filling it with soft hay (we use yarn) in preparation for Christmas day. The idea for the Jesus stocking is similar. Corporal and spiritual works of mercy, small sacrifices, kindnesses and prayers are recorded and dropped in the stocking as gifts for Jesus. 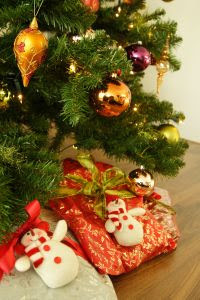 The children are encouraged to fill Jesus's stocking with gifts throughout Advent. 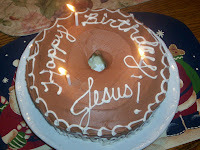 to remind us that He is at the center of the celebration to which we look forward with such joy. Surrounded by our favorite Advent books and calendars, this place of honor for the King is a constant reminder that what we anticipate in this season of hope is not a gift, but the Gift: our Lord and Savior. Part III: O Night Divine! Mary Ellen Barrett's Christmas blog, O Night Divine is the treasure chest from which you can pluck a few jewels for your Advent preparations and Christmas celebrations. The archives are nicely organized in the left hand column so that you can easily find things such as crafts, teas, saint activities, and ideas that focus on the Blessed Mother. Scroll down a bit and find the feast days of the season. You'll also discover plenty of book suggestions, links to related sites, and categories for quick searching. Keep an Advent file. Bookmark good stuff on the computer, and keep a paper file, too. Toss good ideas into your files as you stumble upon them. When you're halfway through Advent, or seven days into the Twelve Days of Christmas, and you discover a great new idea, don't kill yourself trying to implement it right now. The idea will still be there next year. Most likely, you and your kids will still be here next year, too. So, don't try to do it all. That's what files are for: to hold all the great stuff you're not doing at the moment, but will, one day, do. Reader Keri asked about our Jesse Tree -- the "family scrapbook" as I call it -- and I want to expand a little bit on what we do. Our Jesse Tree will soon reside on the hearth, awaiting its salt dough ornaments. This is probably one of the most "educational" Advent activities that we do. (Remember, though -- life is school, and school is life, so it's all educational .... ) I post a small sign next to the tree (just in case my children forget what I'm educating them about -- not that my kids ever forget such things ....) The sign reads, "The Jesse Tree ... Finding Jesus in the Old Testament" and that's exactly what a Jesse Tree helps us to do. It introduces us to the truth that Christianity is not a new idea, nor a religion dreamed up and perpetuated by a motley crew of fishermen and tax collectors. It is the fulfillment of God's story -- our story -- from the beginning of time. Reading the Scriptures that lay the foundation for, and point us to, Jesus brings all those seemingly disconnected Bible stories together into a meaningful fabric, a tapestry of history that makes sense to even the youngest of children. When we compare it to a family's scrapbook, it becomes a metaphor children can easily understand. The symbols we hang on our tree are "snapshots" of the history of Jesus, which is our history, too. 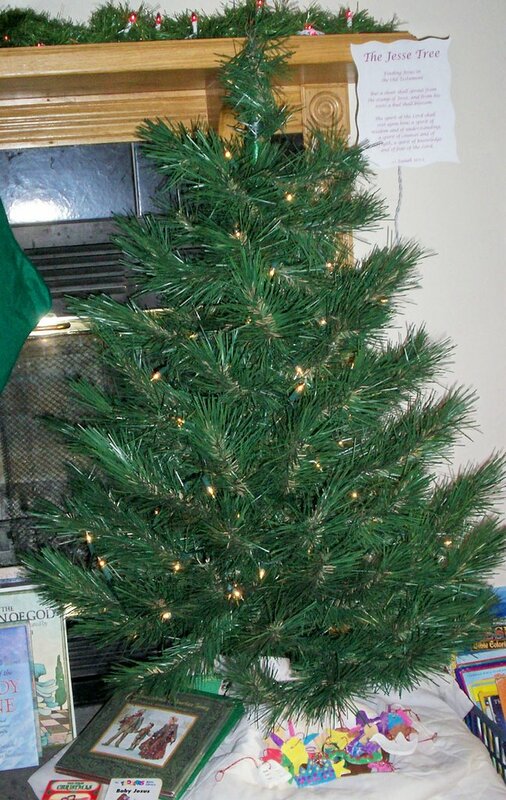 I began using our small, artificial Christmas tree as our Jesse tree just a few years ago. Before that, I dithered about, trying to find the best way to approach this activity. One year we did poster board and a hodgepodge of construction paper and 3-d ornaments; another year I searched in vain for the perfect tree branch to place in a pot, a la a friend's example. I was trying so hard to make it all perfect that year that I ended up abandoning the entire activity. Another year our tree was hastily thrown together on construction paper. I was pregnant with Ramona then, at a very tired age 41, and was extraordinarily pleased with myself for simply breaking out the glitter. I was finally inspired to use our artificial tree by my friend, Johnna, who always has great craft and liturgical ideas. 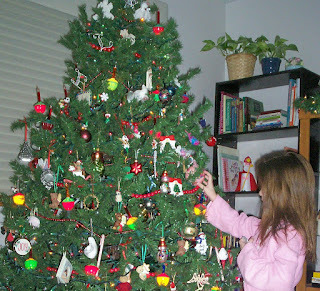 She began using their regular Christmas tree as a Jesse Tree, hanging Jesse ornaments throughout Advent, then taking those down an and putting up Christmas ornaments on Christmas Eve. I adapted the idea, and pulled out the old 4' tree that I'd been considering giving away. Our Jesse Tree tradition was finally settled. And, my kids were 11, 8 and 2. So. Huh. It took awhile. And, what readings do we use? This took some time for me to figure out, too. I have to confess that for awhile, I reeeally disliked the Jesse Tree activity, because I couldn't find an easy, workable, all-in-one version of it anywhere. If one source had ornaments or other ideas I liked, it did not offer neatly corresponding readings. If I found a set of readings I liked, suddenly my ornaments no longer matched. Harumph. Then, my English pal, The Bookworm came to the rescue, and we've settled in with a book she recommended. The Jesse Tree by Geraldine McCaughrean combines a picture/storybook with the Scripture readings we want to cover. I use both this book and a Bible to completely cover it all. An important point to remember about the Jesse Tree -- and one that will keep you from falling into dislike of this activity -- is that it doesn't have to be done perfectly on schedule or legalistically. 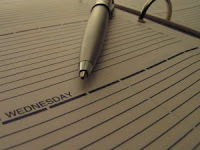 So what if you miss a day of readings here or there -- it's okay! You can catch up when you have time. What you're aiming for -- the truly important thing -- is increased familiarity with Scripture, and a growing understanding that Jesus is present in the Old Testament. In the same way that our little math students do a lot of the same addition and multiplication problems year in and year out, students of the Jesse Tree study "the same old thing" each year,with the result being steady and continued growth and knowledge. Don't look for it to be (though it might be -- I'm not ruling it out) immediately transforming. It's an activity that grows on you, that grows on your kids, and most of all, that increases everyone's fluency with the word of God. And with the Word of God. My final assessment: it doesn't really matter what kind of tree and ornaments you use, or which readings you choose. What matters is that you're digging into Scripture. Your ornaments might be hastily assembled, glitter-glopped and slapped on poster board, or they may be carefully fashioned in the weeks before or during Advent. Your readings might come from one source while your ornaments are nabbed from another. You might make up your own set of readings and symbols, or you might find a ready-made kit that's perfect. But, the bottom line is that you should do what works for you and your family, for your possibly-tired-or-pregnant-or-incapacitated body, your crafty or craft-challenged self, your one child or your many. What matters most is focusing on Jesus as the celebration of His birth approaches. Don't do what I did, and let the quest for "the perfect Jesse Tree" put a damper on what can be a great way to spend time with God's word. Relax and have fun with it, and keep that big picture -- the growth and knowledge that will come over several years of doing it -- in mind. Or, "What Does Miss Piggy Have to Do with Advent?" Unexpectedly, Miss Piggy became a part of our Advent traditions about thirteen years ago. When Anne-with-an-e was very little, my mother gave us an Advent calendar that included twenty-four mini books to be read each day of the Advent season. It was a secular calendar that had Miss Piggy and Kermit the Frog bringing the O. Henry story, The Gift of the Magi, to humorous life. My daughter delighted in the story and looked forward each year to the daily books, which we read, then hung by their decorative little ribbons on the tree. One year, before Atticus came into the Catholic Church, I worried that I shouldn't include anything secular in our Advent traditions. I was considering leaving the Muppets in their box, as I was trying to impress upon the kids what the season was really all about. I was trying hard -- without my husband's help, and that made it seem a heavier burden -- to be sure that my children were focused on Jesus. Though well-intentioned, I think I was wrong. That year, at the beginning of Advent, Anne immediately requested the Muppet Calendar. My heart was softened. I saw, finally and clearly, that this was a beautiful way to include my mother (who is not a Christian) in our Advent preparations. She lives far away and we see little enough of her as it is ... wasn't this a lovely way to make her a part of our focus on Jesus? I let go of any worries about the little secular traditions that we did, and still do, include in Advent. The secularities we cling to, that are part of our shared family history, connect us to those in our family who are not connected to Jesus. And, who am I to say that God can't work through a Muppet? Here are a few more easy ways in which we observe the beginning of the new liturgical year, and count down the days until the real Christmas season! These are simple, but oh-such-cherished traditions. Pretty self-explanatory. We love ours. It's an old hand-me-down from the friend who introduced me to Catholicism. It's not about how the wreath looks -- it's imperfect and crooked, like I am. It's about what it reminds me of, what (and Who) it points to. For nightly prayers, we like to use selections from Prayers and Customs of Advent and Christmas. 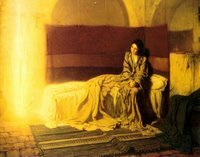 This page has prayers for the beginning of Advent, along with short daily prayers for each week. This page has some nice prayers for very young children. Some short Advent meditations are here. 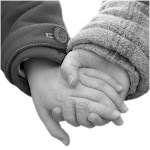 All of the prayers on this site are short and easy for families to use. One child lights the candle, one reads the prayer, and one gets to snuff out the candle at the end of the meal (the antique candle snuffer we use makes this task especially attractive.) This way, everyone is involved, duties rotate and everyone is happy. Some nights, though, everyone reeeeeally wants to light a candle, or everyone reeeeeally wants to snuff a candle out. So, sometimes, I must admit, we relight candles just for the fun of it, and snuff them out again and again. Because we're easily amused, I guess. I vary our prayers with each liturgical season. Mounting a list of prayers on construction paper is a simple way to teach about liturgical colors. They know that if the prayers are on a green background, we're in ordinary time. During Advent, the prayers are in purple, on a purple background. We read from our Muppet calendar every night. We also have another booklet-a-day calendar based on A Christmas Carol. Hmmmm ... maybe our Advent calendars are getting out of hand? 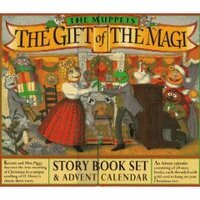 Naah ... We also do this one, which, like the Muppet calendar, was a gift from my mother years ago. We love this calendar. I have no idea where she got it, but every child loves to do this kind of simple activity. We hang one tiny wooden ornament per day on this wooden tree. And, who can resist the chocolate-a-day-calendar? I have to confess that my kids do not get the highest quality chocolate in this kind of calendar, as I buy mine at the dollar store. But, they love them anyway, and it's a yummy way to count down the days. Warning, warning: this will require a separate post! My friend had a way of recommending things that dramatically changed my life, so I read the book. As urged, I “paid special attention” to Aslan, and I fell in love with him. And I fell in love with Him, though I still didn’t fully understand Who it was that I loved. But I knew I wanted to hold Aslan forever, in my arms and in my heart. Like Susan and Lucy, I wanted to bury my face in His mane, inhale His sweetness, and never let go. A few years later, the same friend gave me Barbara Robinson’s The Best Christmas Pageant Ever, in which “awful old” Imogene Herdman (while playing Mary in the Christmas pageant) is walloped with the story of Jesus for the first time in her short, rough life. She can hardly bear the weight of the irony and the beauty. And as I read about little Imogene bawling her eyes out, I began to sob. I loved Imogene fiercely, and realized that I loved her because I was Imogene: I was that sad little girl who’d never known Jesus, but who one day collided headlong with the reality and power of Him. The God of the universe had bowled Imogene over and she would never be the same. Neither would I. What changed the Herdmans, the Pevensies, and me? That child born in Bethlehem two millennia ago. That child. It’s hard to fathom, isn’t it? 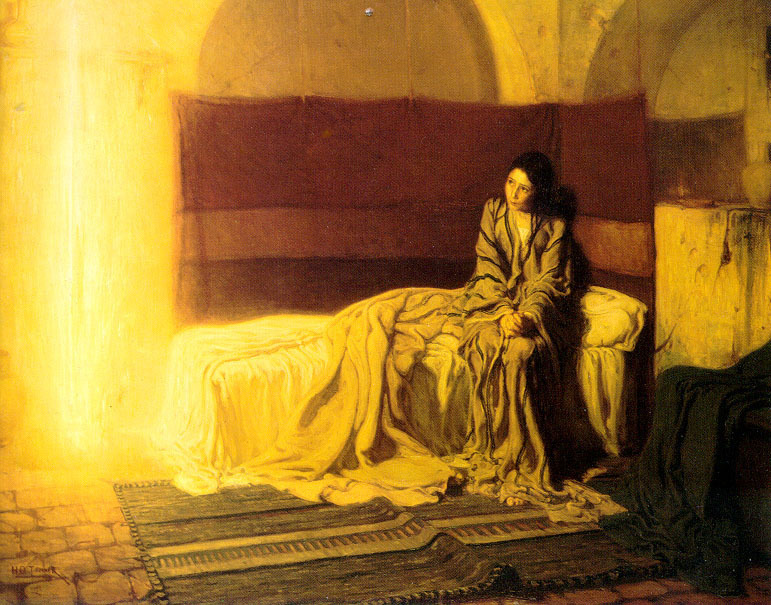 A child, born in a stable, in poverty, to a virgin. A child raised by a foster-father in relative obscurity. A child who for many years was nothing more than a carpenter’s son. A child. The Christ Child set a Herdman sobbing, made perfectly sensible little British girls follow a lion for the rest of their lives, and He crumbled my unbelief. Such is the power of our precious Jesus, and of the books written about Him. Although I wasn’t raised on beautiful tales of our Lord, I know the compelling power of books. I want to share with my own children everything I can about Him. I want to give them the gifts of picture books, chapter books, the Bible. I want to give them storytelling, fine art and great music. I hope to introduce them, through these things, to the Source of all that is good, and true and beautiful. I pray my daughters will remember countless, sublime meetings with Him, and will yearn to inhale His sweetness, the sweetness of that baby in a manger. That baby was born for us. He lived and died for us. In December, our favorite Advent and Christmas books sit under our Jesse Tree, like the gifts that they are. Here, in no particular order (and with links to past posts that contain more detail, in some cases) are some of our favorite books. And, here's the "no panic" part: Although we own many of these, we certainly don't own them all. I make generous use of the library and then every year, I purchase one or two new books to add to our collection. Here' s the other "no panic" part: We don't read all of these every year. We'll definitely read our dearest favorites, but other books will rotate. 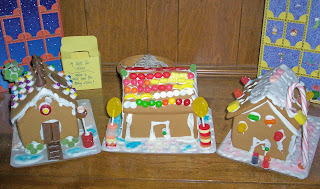 For example, one year, we really focused on all of the American Girl Christmas stories, and we baked related treats, learned more about Christmas in other times and places, etc. But, we don't always get back to those books every year. Read and do what works for you. 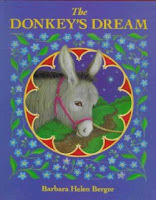 The Donkey's Dream by Barbara Helen Berger is an all-round favorite. In this post, I talked about it, and about "how literature teaches us beautiful things." The first time we read The Christmas Miracle of Jonathan Toomey I cried a bucket. 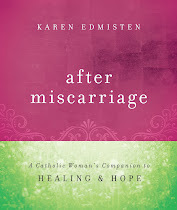 What a touching story about love and patience, healing and Christmas. Recommended with vigorous nodding of the head and tears in my eyes. As I said in this post, The Twenty-four Days Before Christmas is out of print, but used copies are floating around. A very sweet story by Madeleine L'Engle, and worth hunting down. 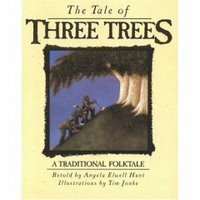 The Tale of Three Trees: A Traditional Folktale is a story that can be read anytime, but is especially good for Advent and Lent. It's a simple, beautifully illustrated book that helps children to see that God will answer our prayers, but not always in ways we can foresee. Alas, we do not own this one, but must request it via inter-library loan each year. Used copies of this book, written once-upon-a-time by Little House author Melissa Wiley, go for staggering amounts and so we must be happy with our annual library check-out. 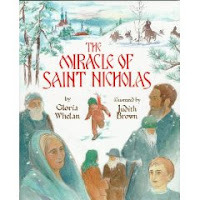 Our must-read on St. Lucia day, along with saint books that tell us more about St. Lucy. 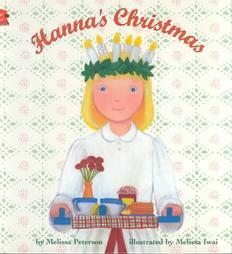 We love Tomie de Paola's The Legend of the Poinsettia and The Night of Las Posadas. And, don't forget Jingle the Christmas Clown and An Early American Christmas (yikes, two more rare books! Check your library and watch your library sales.) Country Angel Christmas is a sweet one, too. And, anything else by Tomie de Paola that we can find. My sister gave The Legend of the Candy Cane to Anne-with-an-e when she was very little. A very sweet book. 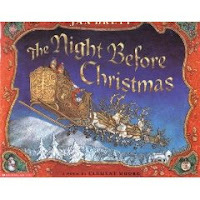 It has become a tradition that both The Legend of the Candy Cane and Jan Brett's The Night Before Christmas must be read by Atticus on Christmas Eve. Gennady Spirin's rendering of The Christmas Story is gorgeously illustrated. I think I bought this one for me. Okay, so I cry a lot. Yes, I cried at this one, too. A lot. Love this book. Silver Packages is beloved by all the females in the house. Atticus has probably never read it, but then, he doesn't love to cry. It's the second Sunday of Advent. We've begun our preparations for Christmas, our favorite Advent observations are in place or are unfolding, and if they're not, we're not panicking. We're savoring the liturgical season, we're reading beautiful (and sometimes goofy, as Atticus reminded me in this comment) books with the kids, and we're teaching them about watching, waiting, and preparing for the Lord. But, what are we doing for ourselves? I will grant you that all of the things we do for our children during Advent are done for us, too. We can benefit enormously from the books we read, the talks we have, the thought and consideration we give to our preparation. But, sometimes, it isn't enough, or it isn't exactly what we need. God wants not only for our children to be prepared but for us mothers to be ready, too. During these weeks before Christmas, don't forget to do something for your own spiritual growth. It doesn't have to be monumental. It just needs to draw you closer to the One who came for you, lived and died for you, and wants you to be with Him for all eternity. You know what it is for you, and I know what it is for me. Catholic Cuisine has easy, doable ideas for "Rosy Treats" here and other festive foods here. We haven't gone all out for this feast day in the past, because I've always been overwhelmed busy, but not panicked, by other observances. But, this year, I added Tomie de Paola's The Lady of Guadalupe to our book collection. I won't get any special baking done for this feast, but I'll gather a few other resources from the web to share with the girls about Our Lady of Guadalupe, patroness of the Americas. Saturday is the feast of St. Lucia, and with it comes the Lucia bread. Do not be intimidated by this yeast bread recipe! If I can make this bread (and make it look beautiful), anyone can. Really. Trust me on this. This bread is easy. A little time-consuming (for a woman who, when left on her own, could easily eat tuna out of a can and call it a meal) but easy. And, as I mentioned in this post, if you don't have time to make it this weekend, save the recipe and make it another day. It makes a great King's Bread for the Epiphany, too. Warm the milk in a small saucepan, then pour 1/2 cup of it into a large bowl. Add the yeast and 1 T. of the sugar and let it sit for 5 min. Melt the butter in the remaining milk. Add butter/milk mixture to the yeast mixture. Whisk in the eggs, juice, 1/4 cup sugar, orange rind, and salt. Stir in the flour, 1 cup at a time, until the dough can be gathered into a ball. Knead the dough on a floured surface for 10 min., adding more flour until the dough is smooth and elastic and doesn't stick to your hands. Transfer the dough to an oiled bowl, turning it once to coat it. Loosely cover the bowl with plastic wrap and let it rise until doubled in size, about 1 1/2 hours. Punch down the dough and divide it into 3 equal parts. Roll each part into a 30-inch rope and braid the ropes together. Transfer the braid to a greased baking sheet, pinch together the ends to form a circle and let it rise until doubled in size, about 45 min. Bake at 375 degrees for 25 min., or until golden brown, then let cool on a wire rack about 30 min. For the glaze, stir together the confectioner's sugar and orange juice until smooth. Drizzle over the bread, then garnish with cranberries. Add candles for "wreath." Found something (anything white) for the girls to wear for a St. Lucia procession through the house, and read Hanna's Christmas. Employed "flexible homeschooling" in an off-year (i.e., when Ramona was still keeping me up every night, for the third year in a row of her fabulous life), and didn't sweat the imperfection known as "not doing it all" and also known as "moving St. Lucia day to a Saturday," which is not necessary this year, as it conveniently falls on a Saturday. those who are not "burdened"
for so much undeserved Love. We are more than halfway through Advent, and the celebration of the birth of our Savior will soon arrive. And, do not panic! I know that Christmas is only, oh, say, tennish days away. But, again, I say: do not panic! Unless you're Jennifer, and you also have your daughter's First Holy Communion approaching. Jennifer has free reign to panic. But, the rest of us are called to remember that even though we're headed down the path of busy-ness, if some of that busywork falls by the wayside, or is someone gets the flu and all your plans are for naught, or if something this year just isn't quite right, isn't the perfection you had hoped for, it's okay. Christ will still come. He came two thousand years ago, He is here now, He will arrive for Christmas, and He will remain with us always. Part XIV: A Week Before Christmas -- Do You Know Where Your Daughter's Tights Are? What do I still need to make? Buy? Wrap? Have I thought about those stockings that will soon hang over the fireplace, and about what will go in them? Speaking of stockings, when Christmas Mass rolls around will all of my children have tights/socks without holes/hose without runs? Clothes that fit? Shoes that won't send them into last-minute snits? Some mothers might buy festive new clothes each Christmas, but others do a little jig of joy when everything from last year (or in Ramona's case, the most current Christmas hand-me-down) fits. Yes. That'd be me. And, let's be totally honest here. The problem with writing and running a "No-Panic Advent" series is that at some point any sane, normal, writer-mom will panic. I did. I have panicked. "Hi, my name is Karen, and I'm a fake." Last night, when I went to have coffee with two friends, I practically threw their Christmas gifts at them and said, "Now I can cross you off my list." I was kidding, of course, but there is something to that awful, "Must ... Do ... During ... Advent .... " spell under which we all fall. Sometimes things providentially pop up, things that help us rearrange our priorities. For example, although we always celebrate St. Lucia Day, this year was different. Some friends were available at the last minute and able to have our kids overnight while Atticus and I ran away for a one-night vacation. We've never left all three of our girls before, so it was the proverbial big deal. We jumped on it and were thrilled we did. We had a great time, and Ramona survived the separation (although, after our reunion she noted, "I did miss you more than I can say. And I love you dearly.") We missed doing our traditional St. Lucia activities (the bread, however, had been consumed and eaten two days prior), but when I felt a pang about that, I reminded myself that "no panic" means accepting what God allows. Sometimes it's a refreshing one-night vacation. Other times, it means someone is throwing up on Christmas Eve. Whatever happens, we can rest assured that He knows about it. And He'll get us through. So, when I start to panic, I go back to my prayer. It grounds me. It reminds me that Christmas is not about shopping and doing, and not about presents (with the exception of the Ultimate Gift.) Rather, it is about sin and redemption, about panic and apologies. And, it will come, as the Grinch learned, whether it is surrounded by all our cultural, habitual trappings or not. It will come to our sloppy, imperfect selves, and when it does, I need only ask myself, "Is Jesus pleased with what I've given Him this Advent, and in this Christmas season, or is He wagging His finger at me?" If I sense any Divine finger-wagging, then I can get a head-start on the next to-do list: spiritual resolutions for the new year. Because He's all about beginnings, this God of ours. Now, I'm off to cross "tights" off my shopping list. There are always Santa conversations at this time of year. We're all busy, so I'll make this quick. I don't worry about it. Honestly, I don't. When Anne-with-an-e was a baby, I worried (a lot) that lying about Santa would mean that one day she'd think I'd lied about God, too. When she was two years old, people would ask her what Santa was going to bring, and she'd stare blankly at them, wondering who in the world they were talking about. Well, I don't out and out lie. I imply. I play a game. We get a visit from St. Nicholas on his feast day ... we have presents from him on Christmas morning ... We wink, we leave cookies, we love the magic. My children will know, see, and feel His fingerprints on their lives. We have seen God at work, and we know He isn't the stuff of toyshops and flying reindeer. Yes, Ramona will learn that Santa was just a lot of fun pretending. But, she'll also know that Jesus is a powerful King. Feelings on Santa vs. no-Santa are subjective and personal, and I would never say that my way is universally the best. I can understand the other side. I'm just saying that personally I no longer fret over it. And, since there's no doctrine of the Church that says we must not do Santa, I think I'm in faithful territory. And, sometimes, even the most roundabout of ways of celebrating things can have lovely, unexpected, faith-filled results. I thought of that when I reread this old post on Santa, at The Wine Dark Sea. "The Santa myth can be in our secular world a sort of pre-gospel." God is the ultimate Unconditional Love and the True Magic. I know that somewhere, deep down, the child who loved Santa was yearning for Christ. And He came to me. Just as Santa did. But when He came, the Magic was bigger, and powerful. And when He came, the Magic was here to stay. On Christmas morning, he [Chesterton] remembered, his stockings were filled with things he had not worked for, or made, or even been good for. The only explanation people had was that a being called Santa Claus was somehow kindly disposed toward him. “We believed,” he wrote, that a certain benevolent person “did give us those toys for nothing. And ... I believe it still. I have merely extended the idea. “Once I only thanked Santa Claus for a few dolls and crackers, now I thank him for stars and street faces and wine and the great sea. Once I thought it delightful and astonishing to find a present so big that it only went halfway into the stocking. Aaahhh ... no one can say it quite like G.K. Thank you, Chris. Wishing you a blessed, happy and holy Christmas Eve. But I wanted to take a moment out to share some ideas on keeping the Twelve Days. When we first started doing some of these things, my kids noticed that much of the world was dismantling Christmas Joy just as we were picking up speed. I told them (repeatedly, because that's a mother's job), "It's a shame the whole world doesn't realize that the Christmas season is just beginning! They don't know all the fun they're missing!" The harping instruction paid off. They get it. And Ramona, who has never known any other way, is the first to correct one of us if we call Advent "the Christmas season." Which can be kind of irritating, but endearing. Mostly endearing. I just found this page at Catholic Culture. You can click on each day of the Twelve Days for a new activity and recipe. In keeping with the "No Panic" philosophy, don't try to incorporate twenty-seven new things into a twelve day period. Pick a couple, and put the rest in the file. If you have other ideas to share, please leave them in the comments, and I'll add to them to this post. I have some friends whose kids open one gift a day for each of the 12 days, some gifts are larger and some are very small like what might be used as a stocking stuffer. We're considering that for next year. We read The Three Wise Kings by Tomie de Paola a few weeks ago and I'm planning to pull it check it out from the library again to read this week. We read all our Christmas books and bake a festive cookie every other day or so (instead of all at once like I used to do.) We read The Legend of Old Befana on January 5th and make pizzelles on Epiphany. That's the only thing set in stone. I also finally found the frankincense and myrrh incense I bought last year. Lucy's conveniently learning "We Three Kings" on piano. Our priest was talking about the peace of Christ on Christmas Eve. I've always hoped for a peaceful Advent and it struck me as very fitting that night that that peace I've longed for arrives the very moment we gather to celebrate Christ's birth and is very tangible throughout the Christmas season. We keep the season by talking about the 12 Days of Christmas--specifically, the Christian symbolism of each of the days. And we don't sweat the "small" stuff, like getting cards and presents out "on time". As my dear friend Sarah puts it, we're supposed to be living Christmas every day. My friend, Mary P. writes: "I bought an Advent box at Starbucks. Behind each door was a piece of candy. Why not make one for the 12 days of Christmas? I think I know somebody that would like chocolate each day." 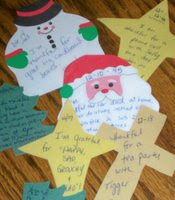 Amy says: "My kids were thrilled to get a little bag with their own kid-friendly versions of gold (chocolate coins), frankincense (scratch-n-sniff stickers), and myrrh (bubble bath)." Connie's Daughter says: "You know, Karen, the Christmas Season goes until the feast of the Baptism of Our Lord, which this year is on Jan. 11th. We usually keep our tree up until then, and we have lots of treats throughout the entire time, ice cream being our favorite. :) And even though the world has moved on, I continue to wear my Christmas sweaters and earrings and socks. Our Nativity set is still being lit each night in our yard, too!" Though we American parishes celebrated the Feast of the Epiphany on Sunday, today is the Twelfth Day of the Christmas season, so feel free to celebrate the Epiphany again tomorrow. We plan to. We made King's Bread (aka St. Lucia bread) today and although we're easing back into our "real life" routines this week (poor Atticus had to head back to work), we'll certainly take tomorrow off. 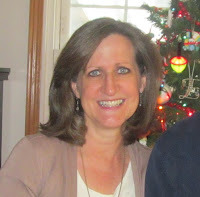 As Connie's Daughter reminded us in the comments on this post, even though tomorrow brings the Twelve Days to a close, we're still liturgically in the Christmas season until the Baptism of the Lord, on Sunday, Jan. 11th. 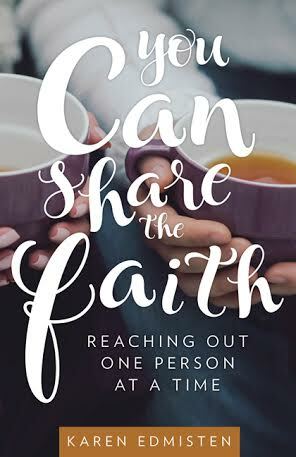 The Catholic Culture link from the post I just mentioned has activities and recipes through that day (eighteen full days of fun) in addition to the twelve. and I imagine we can find a few more things to read, eat and celebrate this week. you have filled me to the brim, and then some. thank you so much for this compilation of everything Advent. It must have taken you forever to finish it. It's all here in one place and I feel so rich!!! God bless you. This year at Christmas my daughter will be 2 --almost three -- and she and I will delight in this season. Wow! I only got about 3/4 of the way through this wonderful informative post. I'll have to check back tomorrow. I'm really excited to do a Jesse Tree this year and we've been collecting a lot of ADVENT books this past month from the library. THANK YOU, Karen, for this massive post! I am printing it out right now and putting it in my liturgical year notebook. I live alone, and have no kids, but so many of these ideas are WONDERFUL, especially the Jesus stocking. Bookworm sent me over - thank you so much for compiling the list. I've linked to it and hope others find some gems here! I'm pouring over this! I've printed and bookmarked. I want to do it all but I will control myself - really - so what I choose actually happens! I also have your Rosary book on my nightstand and it's my first Advent read. wonderful wonderful wonderful! God Bless you for this massive post. It's so great to have this in one spot! Wow. You are a genius. This post is exactly what I needed, thank you. I came here via Bookworm and funnily enough, just this very day I went out and bought an ornament suitable for using as a Jesse Tree that she mentioned on her blog recently. I went over there to let her know and saw a link to this. It's all advent a go go! I hear you about the difficulty of finding a good book that doesn't then require different symbols. Last year I bought the Geraldine McCaughrean book but we didn't read it because it arrived too late. We'll dig it out this year, thanks for the reminder. What a resource!! I linked to this on my weekly roundup - happy Thanksgiving and hope you're enjoying the beautiful Nebraska day! Thank you for this! I was just at the point of total overwhelmedness when you contemplate doing nothing at all.